I hope so, i think we would compete better in Football and it would be a down grade most years in basketball tho. Nooooooooooo. Never. I loved the Big Eight and now the Big 12. This is absolutely about setting KU up to go to the Big 10 when the current Big 12 TV deal expires and the league dissolves. The Big 10 has had eyes on KU for about 25 years now and the end of the TV may finally be the time KU returns the interest. Adding KC to the Chicago and Indy rotation for the B10 tournament would be cool. Surely you mean, read it to them? Based on the negative experiences of many schools major sports teams that have jumped conferences the last 5-10 years, I hope KU can find away to stay in the B12, or merge a large portion of the B12 into a new division in the B10. If KU were to move by itself, or even with KSU, I suspect KU basketball would slide into mediocrity, or worse, as a conference newbie. The long time members of the Big 10 just won’t allow KU the same legacy advantages in politics and policy choices KU apparently enjoys in the Big 12. Nebraska-became just another football program in the B10. Syracuse–left Big East for ACC and started losing more and got suspended from post season. Louisville–once in ACC, it got Hookergate. There appears to be something about staying puts that minimizes the making of new enemies and the likelihood of skeletons coming dancing out of closets. I loved the Big 8, but not the Big 12. Never liked the 12. It would be good if we went to the B1G with OU, and I wish that ISU would go too; that would give us some of the old Big 8. I used to work with an engineer who was a tOSU grad; his dream was always that the Big Ten and Big 8 would merge and become the Great Lakes and Great Plains divisions of a super conference, because both are Midwest. Most engineers really lack vision. Functional, but boring. My old engineering roommate has crap on Mars, but he’s as vanilla as it gets. On an aside I’d really like to take the engineering genius who designed Chevy trucks to be worthless on dirt and worse in mud out behind the woodshed. Conference realignment causes me an undo amount of stress. I’m glad it’s something we really don’t need to worry about for a few more years. I also wish we could wait but unfortunately I think we have to be worrying about conference alignment NOW. It will probably be pretty fast in the 2023-2025 period but it will all be based upon what preparations such as positioning that were made prior to that time…many of preparations YEARS before that time [see Memorial Stadium renovation, among other items (I wonder IF the stadium renovation will be at least partially based upon “informal” conversations about what a minimum B1G stadium should “be”…though that is maybe just my off the wall theory)] Other preps would probably be extended informal “what if” types of conversations (via 3rd parties in some cases) with any prospective conferences (including the B12) to determine “interest”/conditions,if any/conference “vision”/the “mindset” of current and/or prospective conference members as to their “feelings” and possible action(s), etc. ; similar types of conversations with media partners on third tier rights(ESPN, FOX, etc. ), especially because if we move from the B12 some of those must be terminated; and a whole slew of other preps that can not be made “overnight”. I think some of those conversations may take literally “years” as they must be informal, and with generally low “intensity”, hence not something to sit down at a table and pound out in a week or so! HOWEVER, in a “worse case” scenario where others (especially UT and/or OU) do not wait for the GOR to expire and “move” from the B12 “early”, we need to be prepared “now” for such event, but hope that it does not happen. We have to be good Boy Scouts…".BE PREPARED", but that takes planning ahead to prepare, and that takes time. I think that time is now, not later. I believe realignment is the one of the driving factors behind the face lift to Memorial Stadium and the deep buy in to KU football. The B12 started putting the nails in it own coffin bye not expanding when they had the chance. I still say adding Louisville and Cincinnati when we had the chance was the best chance of survival. Honestly if the B10 picks up KU, KSU, ISU and WVU they may have the best basketball league in the land. Ether way I’m not betting on being in this conference in 5 years. Anyone else think its stupid to have a conference title game in football with a round robin schedule and no divisions? 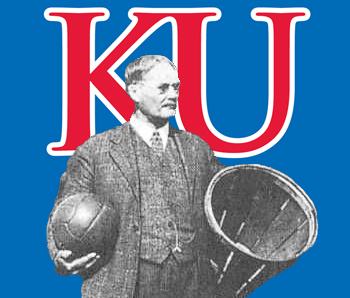 @kjayhawks Of course it’s the force… KU & SZ aren’t going to spend 300 mil just to be nice to the fan base. If Kansas gets caught with their pants down again, they will likely end up in mediocrity somewhere irrelevant forever.